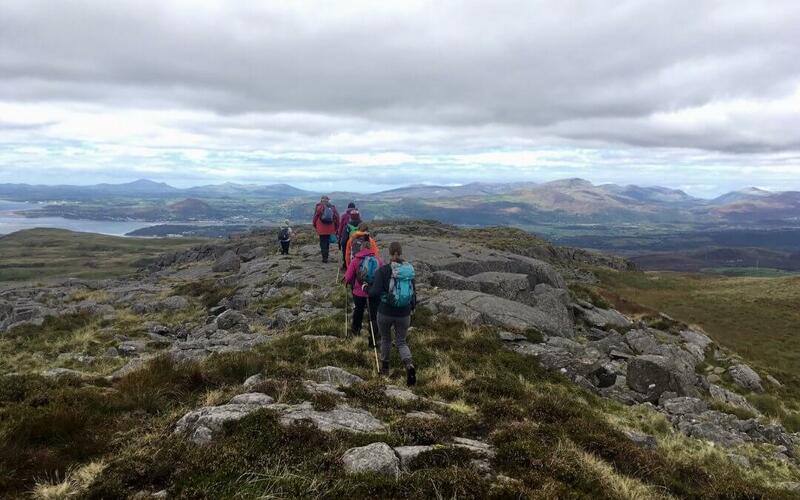 Barmouth Walking Festival takes place this year from 16 – 25th September. The festival is a wonderful way to explore the mountains, hills and coastline around the Mawddach Estuary and Southern Snowdonia in good company. There are walks for a range of abilities, including walks focusing on landscape photography skills and local history. In addition to leisurely rambles of a couple of miles there are day long, strenuous graded walks which are a fantastic way for fitter people to confidently get out to lesser known areas with an experienced guide. Last year we joined a group of about 25 people ranging from those in their twenties to septuagenarians and headed out into the wilds of the Rhinog hills. The day was gloriously sunny and we had epic views across Cardigan Bay, Bryn Cader Faner stone circle and the heathery wilderness. Graig Wen is an excellent base for the walking festival as all the start points are within half an hour drive of here. We have camping pitches as well as glamping, self-catering cottages and B & B accommodation available during the festival dates. We have teamed up with Barmouth Walking Festival to offer Graig Wen guests discounted tickets to this year’s festival. Book a minimum two night stay at Graig Wen during the festival and benefit from walking festival tickets reduced to £5/person. For example two people could book one walk for £10 and save £7. Quote Graig Wen Barmouth Walking Festival Offer when booking with us. Tickets are subject to availability and must be booked direct with the festival by phone. See www.barmouthwalkingfestival.co.uk for more details.